← District 10 Is HERE!!! 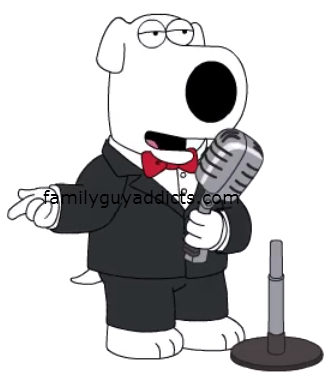 So before you go ahead and buy New Year’s Brian with your hard earned Clams, here are a few things you might want to know about it. -Comes with a Walkthrough for the New Year’s Event. -Helped with Necklace drops for New Year’s Jillian. Personally, I got this one more due to I wanted to see the extra task with him and New Year’s Jillian. For the cost of all the other Character Costumes I have seen, this one was actually cheap. It may have been more shell shock as many of us are NOT used to seeing a Costume for just the Clam purchase outside of Al’s. But comparing to others, for all the tasks he gives… it is quite reasonable. This is going to really come down to personal choice. In a month will YOU be happy you got him? 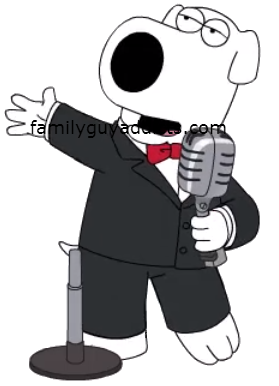 Did you buy New Year’s Brian? If so, do you have a favorite task? Was he worth it to you? Let us know. 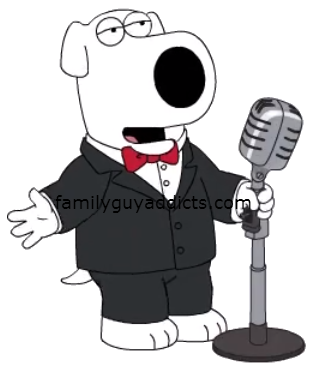 This entry was posted in Characters, Clams, Do I Want That and tagged 24 hour Bikini Peter Sale, Brian and Jillian Task, District 10, Family Guy Addicts The Quest For Stuff, Family Guy Tips and Tricks, New Year's 2015 Event, New Year's Brian. Bookmark the permalink. I have a mission that says “have Brian initiate plan b”. I can’t figure out what he’s supposed to do. I usually end up just waiting for new characters – costumes usually end up meaning nothing if the 24 hour task involves being inside a building so generally its not worth it… when it got the christmas however I looked at how much the kiss characters were and ended up buying only 1 because I don’t want to feel like burning a hole in my pocket just for a few measley extra drops. Plus I managed to do the christmas tasks relatively easy without the other two members i just skipped over the yeti because I don’t like wasting space if it doesn’t give me coins… still waiting on death though, it’s what I been waiting for months for, kinda grumpy I still can’t get him yet. I unlocked Jillian and got her New Year’s party ensemble. I winced at the cost, but I still got New Year’s Brian (hemmed and hawed about it for a couple days before buying him). I was disappointed that he doesn’t have many outdoor tasks, but I did get a kick out of his task list and his 24 hour action with Jillian. Plus I think the tux is cute. Speaking of clams, does Jesus actually still drop clams with his water to clams task? I’m on iOS, I’ve had him constantly on clam duty since the xmas event ended, and I haven’t seen a single clam from him. I know it says it’s a rare drop, but (assuming it’s working at all) how rare is it? I bought the suit, and to date have not been impressed with the overall value vs cost. I will think long and hard before spending any more money. I did not buy NE Brian and I just unlocked NE Jillian yesterday. Dont get me wrong, I wamted him, I really wanted him. But I refuse to pay for a skin. It took so much time to collect the stuff that I’m not even going to even be able to do Jillians quest line!!!! (In fact my husband and spent this entire time r Ying to get NY Jillian, he just got her, talk about down to the wire! I think it’s interesting that they came out with a whole page saying the perks of buying NE Brian and trying to say 150 clams is not that bad. YES it is!!!! It’s rediculous! I have paid for premium characters in the past and they are worth it. But over 5 BUCKS for a SKIN is crazy talk!!!!! There was A LOT of premium stuff for this short event!!! Brian plus a bunch of buildings for Jillian. Plus does anyone else think it’s weird that the ball drop are balls and not a calm like in the episode’s!!!!!! Think about it…..
Did not get him and the whole event just feels rushed and like a clam grab. Starting to lose faith in the freemium support in this game. Spending money on costumes that I’ll see a few times and likely never again.. no thanks. I’d rather buy horse armor for Oblivion. I didn’t see that. He was like the ONLY real Clam item for the entire Event. The rest, all for in game coin. There doesn’t seem to be enough of a benefit for me… other than getting items to unlock NY Jillian and seeing those 2 outdoor tasks (and the very unlikely possibility of getting items for future events) he doesn’t provide me with anything new. In fact, using him means I can’t use regular Brian or any of his other skins! So it’s almost like an equal exchange that I have to pay for! If we’re spending clams on premium skins, they should give a constant benefit, like additional money per task, speeding up other characters, or some other advantage, like a guaranteed-when-available music item drop when he performs his croon task (music seems to be a fairly common requirement for new characters/skins). Just a thought. Many of us have the same thoughts. They are getting better at reusing Premium items and characters to help. A lot better. I brought him straight away, and I’ve always wanted to buy pLace as it’s from one of my favourite episodes and it looks cool, so seeing he had a task that needs it, I brought that too and I’m glad I did. I didn’t bother buying NY Brian but have managed to get NY Jillian the freemium way (eventually). The reason I haven’t bothered getting Brian is that I don’t have the clams to buy him and the actual cost of buying clams is too high when you consider how few of these you get versus how much it costs to do things / complete tasks. Also, like all of the additional skins, I think there will be only a limited worth in this and he won’t be able to help with future tasks (look at all of Peters skins and how little they are ever given a task to complete. For that matter, look at how few charachters actually ARE given tasks in order to complete quests). Who’s leg do I have to hump around here to get those necklaces for Jillian. I’ve only gotten two in a since the event started. I need help. I went with a yes in my premium game, but no in my free game. I’ll save those free clams for the next event. Just got Jillian. Want to know if I get Brian, tonight, will I be able to do and complete his quest? Or will it disappear tomorrow also. Feel as if I buy him I should also own the option to complete his quest. Also will Jillian’s quest just up and disappear tomorrow. Again took so long to get her the freemium way and would like to see it play out including the blending of the two storyline. Never Knew if this was ever answered. Thanks. Would make it worth the purchase if the storyline is guaranteed. We do not know yet. Still waiting on word from TinyCo what stays and what goes. I did not buy NY Brian and unlocked Jillian’s outfit yesterday (those darn necklaces). I will not regret not getting him. 150 could buy another character! Got it day 1, so I got the benefit of the drops, but I got it as I am a Sinatra fan and love that episode. I can get my dog’s motor running (scratch the right spot and the back leg moves) so the joint task is great. Love it so much I showed the wife – received standard eye roll about the game, so no joy – ah well, I like it! Hi, if I unlock Jilian, but still working in her New Year outfit, can I still be able to get the costume?. You will need to have her complete and active in your game by the Event end tomorrow in order to keep her. Her and her costume both as they are two separate things. Ok I guess that answers my own question below. Crazy though since she was a full character with quests before this costume creation. Didn’t realise I could still lose the character. So I had to spend 120 clams to finish unlocking her new year costume in order to keep her. Oh well it’s just a game. I just want to make sure you understand what I am saying. They are TWO separate things (think of them as two separate Characters). Jillian and New Years Jillian. You have to unlock each one separate. So if you have Jillian, she is unlocked…she is yours to keep. Done. If you do NOT have New Years Jillian, just New Years Jillian will go when the event does. Essentially what is NOT unlocked will go. Does that make sense? I understand now. I thought I was going to lose Jillian completely. So I spent all the clams I had. 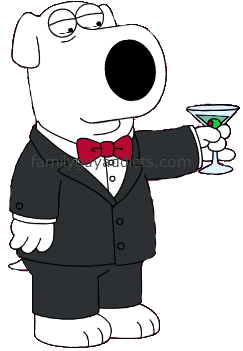 I could have done without New Years Eve Jillian since I don’t have New Years Eve Brian. Oh well, too late. Thank you for taking the time to answer Bunny. Awwwwww. Well if anything, if you really don’t want her… contact them. Maybe they can help. I bought it but wish I hadn’t. He only has two outside tasks which is a huge bummer. Yes. ALL the Event will come to an end tomorrow. So if you aren’t done unlocking her or buying the Limited Event items… get them before it goes away. I have unlocked her just not done unlocking her New Year outfit. Can I still work on getting it after the event? Or will I lose her completely (oh nook 😮 ). Like I said… they BOTH have to be fully in the game. In other words all complete. Anything not completely unlocked will go. I got New Year’s Brian Day 1 buy for me.